SFO - capacity increased from daily B 772LR to daily B 773ER. This flight will be payload restricted and thus out of 304 seats in economy, only 270 will be sold along with 42 in J and 8 in F on the DXB-SFO leg. On the return sector i.e. SFO-DXB an extra 20 seats in Y class can be sold. In total 320-340 seats can be sold which is better than the B 77L (by 54-74 seats daily) which seats 266 pax in a 3 class layout. Cargo too will face a heavy penalty with the B 773ER in both directions. SYD - capacity increased to daily B 772LR + daily B 773ER via BKK + daily A 380 nonstop. JFK - capacity reduced from double daily B 773ERs to daily B 772LR + daily B 773ER. PER - capacity reduced from daily B 773ER + daily B 772LR to daily A 345 + daily B 772LR. JNB - capacity reduced from triple daily B 773ERs to daily A 345 + double daily B 773ERs. Sri Lankan Airlines has revealed on the GDS that it is increasing its nonstop flights to London Heathrow for the IATA Winter 09-10 season. Currently, UL flies 6 weekly nonstop flights from CMB to LHR + 4 weekly flights via MLE with full 5th freedom rights. However, these will be increased to 8 weekly nonstop flights using an A 343 for the winter season plus the 4 weekly CMB-MLE-LHR services. Biman Bangladesh has revealed on the GDS that it is increasing frequencies on its popular London Heathrow route by adding a 5th weekly service for the IATA Winter 09-10 season. All of its 5 weekly flights will be flown via Dubai using an Airbus A 310-300. BG will fly this route nonstop once it finalizes a lease deal for used Boeing 777s which will eventually be replaced by its newly ordered half a dozen B 773ERs. SIN/DXB/RUH - capacity increased from a 4 weekly B 772ER to a 4 weekly B 773A. SIN/DXB/CAI - capacity reduced from a 4 weekly B 773A to a 4 weekly B 772A. DXB - capacity increased from a daily A 343 to a daily A 346. 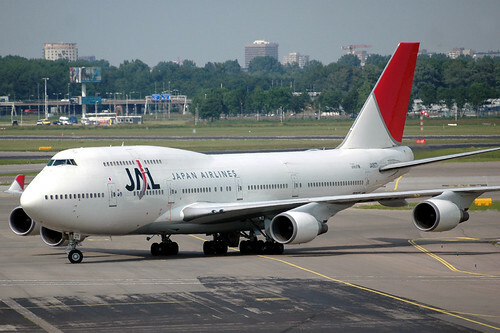 NRT - capacity increased from daily A 343 to daily A 346. PEK - maintains 5 weekly nonstop A 346 service. With regards to its Frankfurt hub, it will be suspending 1 out of 2 daily Cairo bound flights in the winter season thus making the route a daily A 346 operation out of FRA. Along with that, capacity to Lagos, Nigeria for the entire winter season is being reduced from a daily A 346 to a daily A 343. 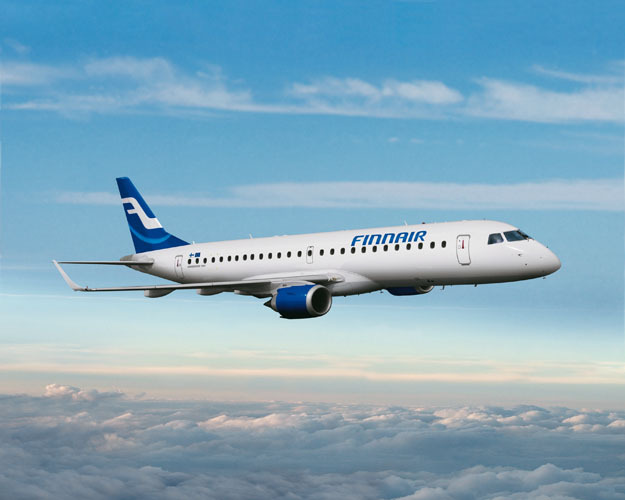 Finnair has officially revealed that it will be increasing its flights to Tokyo from its Helsinki hub from the on set of the IATA Winter 09-10 time table. Currently, AY flies this route 4 times a week nonstop using an A 343 but these will be increased to a 5 weekly service using an A 330-300.
a) new daily flights will be launched from IST via JKT to SYD on a daily basis using a B 773ER with 5th freedom rights on the JKT-SYD-JKT sector. b) new flights to Manila and Ho Chi Minh City will be launched from IST using A 332s. Air Canada has confirmed on the GDS that it will be suspending its flights to Madrid, Spain for the IATA Winter 09-10 season which has been traditionally the case as this route sees more demand in the summer months. It was originally going to be a year round service with the winter flights being flown 3 times per week only with a B 763ER but that has now fizzled out. AC too confirmed that it is increasing frequencies on its Toronto-Santiago-Buenos Aires route from December onwards with the addition of a 6th weekly flight on this Latin American sector. In addition, a B 773ER will be used for all of the 6 weekly frequencies rather than a B 763ER. Jet Airways of India has officially confirmed that it will be increasing capacity on its daily Delhi-London Heathrow flight from the on set of the IATA Winter 09-10 season. Currently, it flies the route using an A 332 three times per week + 4 times per week using a B 773ER. However from Oct 27th, it will upgrade capacity to a daily B 773ER to cater for higher demand on this route during the winter season. 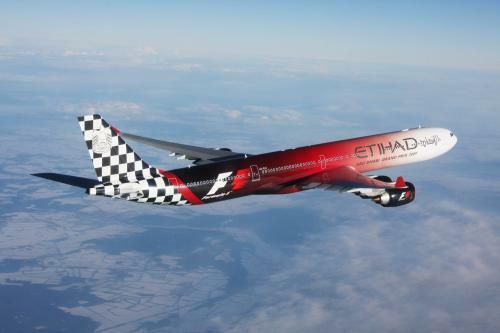 Etihad Airways has officially announced that it will be launching new 4 weekly nonstop flights to Hyderabad, India from Nov 1st 2009 using an Airbus A 320-200. EY will fly this route on MON/WED/FRI/SUN and the flight schedule allows perfect connections in both directions to JFK, YYZ, LHR, JED and ORD. In India, EY also has rights to fly to Calcutta and Jaipur. Kuwait Airways has officially confirmed due to low yields and stringent competition, it will be suspending all its flights to Hyderabad, India from the on set of the IATA Winter 09-10 time table. Currently, KU flies to HYD 4 times per week using a mixture of AB6s and A 310-300s. According to the travel trade in India, KU is hoping to instead replace HYD with new flights to BLR (subject to bilateral modifications) as the latter doesn't have QR and EY flying there. Thai Airways has officially confirmed that it will be launching new nonstop flights to AUH-Abu Dhabi, UAE from Oct 26th 09 onwards. TG will be flying this route nonstop from its BKK hub four times a week using one of its refurbished Airbus A 330-300s (which have the new J and Y class in-flight cabin seat product). If the route performs well, it plans on increasing it to a daily flight by mid June 2010 using an Airbus A 340-600 which has more premium class seats. Oman Air has officially confirmed that it will be increasing capacity on its flagship Muscat-London Heathrow route from Oct 1st 09 onwards. Currently, it flies the route on a daily bass using one of its leased A 332s of India's Jet Airways. However, from Oct 1st, it will be using its very own larger Airbus A 330-300 daily which it directly ordered from Airbus and has the airline's new first, business and economy class in-flight product. DEL - frequencies reduced from 4 to 3 weekly nonstop flights using a B 772ER. LAX - capacity reduced from a daily B 744 to a daily B 773ER. ORD - capacity reduced from a daily B 744 to a daily B 773ER. CAN - frequencies reduced from double daily to daily. ICN - frequencies reduced from 4 to 3 times daily. Flights will be operated on TUE THU FRI SAT SUN only. Good connections are available to LON especially in both directions as well to FRA and CDG on certain days of the week. 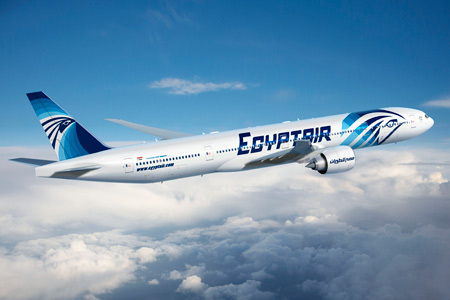 Egypt Air has officially confirmed that it has placed "an order of exchange" with Boeing last week by canceling a pending order for 2 Boeing 777-300ERs and instead replacing them with an order for 8 Boeing 737-800s. MS has done this as it wants to further develop its intra-Africa and regional Middle East network so that by the time the 5 new B 773ERs arrive into the fleet, their large capacity will provide sufficient feeder traffic to all cities within a 6 hour flying radius of Cairo.